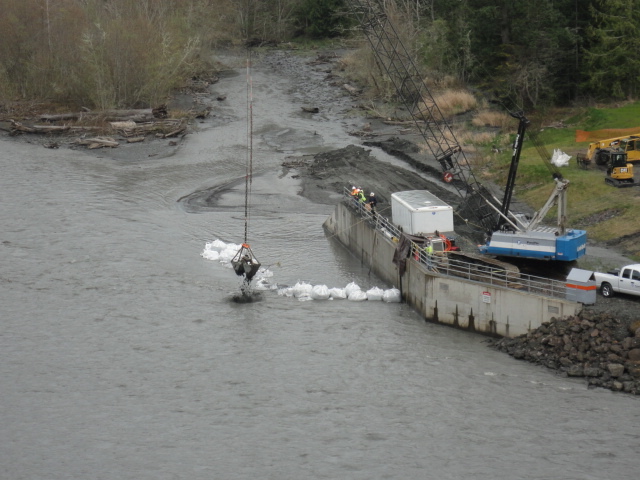 Provided a 70-ton crane for the installation and removal of a super sack diversion dam. Using a clam bucket, excavated a sump trench inside the intake structure diversion dam. Lifted the existing Johnson T-screens for commercial diver to remove and then set ISI screens into place for commercial diver to attach to the existing intake pipes.